We are very proud that our mammography services are accredited by the American College of Radiology (ACR) and by the FDA. Accreditation is awarded to mobile x-ray facilities for the achievement of high quality standards, as determined through a thorough peer -review evaluation. Evaluations are conducted by board-certified physicians and medical physicists who are experts in the field. They access the qualification of the personnel and the adequacy of the facility equipment. 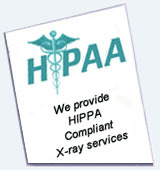 The process of accreditation is pursuant to the Mammography Quality Standards Act of 1992. Congress passed MQSA to ensure that mammography is safe and reliable and that breast cancer is detected in its most treatable stages. FDA has the responsibility for implementing and enforcing MQSA, which requires that all mammography facilities in the United States meet certain stringent quality standards; receive accreditation from an FDA-approved accreditation body, such as the American College of Radiology (ACR); and undergo inspection annually. ACR accreditation demonstrates our commitment to quality patient care. 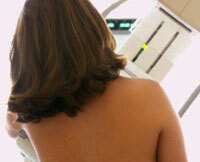 ACR accreditation / MQSA mammography give us a competitive quality edge. Insurance companies recognize the value of ACR accreditation programs. ACR accreditation programs provide a high level of confidence for patients, referring physicians, and managed care organizations that only the highest quality care is being provided by our facility. 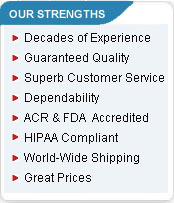 The ACR certificates of accreditation give assurance that staff and equipment have passed ACR's rigorous evaluation. MQSA certified facilities are a hedge against breast cancer .screening errors. Always Look for the ACR accreditation seal! Your x-ray facility has gone through a rigorous review process to be sure it meets nationally accepted quality standards. The mobile diagnostics personnel are well qualified, through education and certification, to perform and interpret your medical images. The equipment is appropriate for the test or treatment you will receive, and the facility meets or exceeds nationally recognized quality assurance and safety guidelines. RELATED TOPICS: mammogram test, mqsa certification, breast mammography, mammography education, mammography tutorial, mobile xray, mobile diagnostics, mqsa accreditation, mobile mammogram, mqsa mammography, MQSA, breast mammograms, fda mqsa, acr mqsa, breast cancer mammograms, mqsa requirements, mqsa regulations, Mobile X-Ray facility, mqsa standards, mobile mammography, mqsa certified, mqsa mammogram, mobile xray services, breast mammogram, mammography technologist, mammography center, Mobile X-Ray facilities, mammography, screening mammogram, mammogram images.